Get ready for a test of island courage! 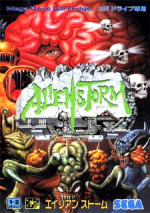 We're not quite sure if this is a late Sega Week or if Sega releases their games randomly now (Just like elsewhere), but this week there's also Alien Storm for the Mega Drive. It's a port of an arcade beat 'em up, and despite it being quite different from the likes of Final Fight and Streets of Rage, it really doesn't do that much great things. It's not a bad game, though. Not the worst week, better than last I suppose... StarTropics does intrigue me slightly. Good Games, but only 2 are a shame. There are a lot more that we could get. I wonder what's going on with NoE's release policy? It's really dropped off of late. I don't live in Europe and i got to agree big time. I usually like times when Europe gets games i want B4 America gets them so i can anxiously wait for them. BTW, i have an unrelated question. Lets say, hypethetically, Crusin USA and 1080 came out the same day and i only had enough to download one. Which should i get Drake, Damo, or anyone? I don't see why EU people are complaining about the number of games released. You've gotten great games the past 2 weeks (Harvest Moon and Star Tropics). I also doubt you could play through either of those games completely in one week without some hefty marathoning. So yes you have a few less games overall, but if you factor in the fact that the Wii came out 2 weeks earlier in America, it's not that big of a difference. If you then rule out the horrible games (1 and 2 stars) they're pretty much even. Further the EU exclusives include Megaman games, Harvest Moon, and Mario Picross. America has Axelay and honestly who cares since there’s a ton of good shootem ups on the EU VC right now. I don't see why they cant release Golden eye for both systems the virtual console and live arcade. That way everyone will be happy. We are still WAY behind America's releases, (ie 40 something NES games compared to about 58 iirc) so why not give us those so we can catch up? Even if they are bad, it beats the one or two each week we now get. some of the games europe hasn't got yet came out in america the middle of last year. i really doubt we'll be getting those games at all. I call foul on this release. Sure you have Star Tropics but this is ridicules. Shape up Nintendo! What's your New Year's resolution? Two games a week (if that) and maybe one good one? Harvest Moon may be better then these games, but I´m relieved to see more than one game this week. Speaking of US releases, the only game I really miss is Ordyne. Hope for some more Turbo or Neo Geo games soon. 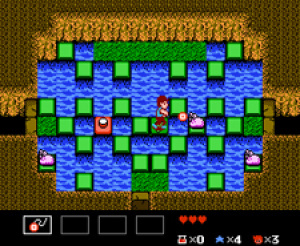 Star Tropics is a good game, but I never had the endurance to complete it. Kyle, we got the same number of games that America got this week. Still below the usual for both of us but its still the same number. Still, I can't see why europe has always, ALWAYS I say, been the stepchild in videogame releases. There where so many really grate games that never made it to europe. Let's take FinalFantasy for example: Before FF7 this francise was close to unknown in EU, and parts 2, 3, and 5 never even made it to the US as well (FF4 was released as FF2 and FF6 as FF3 there)! And many games that came via the long route JAP>US>EU got cut and edited till they where hardly recognizable anymore- mind exibit B here: Contra got renamed Probotector and the musclepacked killing mashines where replaced by soulles Robots, in order to reduce violence for the european market. The VC could be such a Great Opportunity for Nintendo to bring us all those games that have never been seen in europe before! I'd be happy if we at least got all those games that made it to the US during the last 20 years or so... So, in my humblest oppinion, europe whould desere at least as many as, IF NOT EVEN MORE games than the other regions, thank you so much. BTW, within europe, germany take a special position because some games that barely made it to europe still contained to much violence to be finaly released here. Examples of these are especially some N64 games by Rare, most noteworthy 'GoldenEye', 'Conker's Bad Fur Day' and 'PerfectDark'. GoldenEye even is on a special german 'must not' list called "Index", which means it must not bee sold to persons under age 18, advertised or even mentioned in any way- if mentioned in a magazine these days it is described as "ein bekanntes Ballerspiel von Rare" ('a well-known shooter by Rare') instead of calling it by its name. Sorry to say this, but the facts mentioned above would very well mean, that a deserved bond-shooter will never make it to EU-VC. As I mentioned, it is strictly tabooed in germany (even so I still got an imported copy on my shelve- I'm just forbidden to show it to any minors ), meaning that it wouldn't be legal to sell it online here. And since it would be hardly possible to exclude germany while the rest of EU can dowload it, I guess it won't come to europe at all, to avoid legal trouble. @Frank: And even if they find a way to release Golden eye on VC legally, they probably won't. Rare is a part of Microsoft now if you didn't know that! And he who pays the whistler rules the tune- why would Bill Gates be interested to share a guaranteed top-seller with Nintendo?! "I don't see why EU people are complaining about the number of games released." Because we've been getting one or two games a week, sometimes *none*, while NA and Japan get their usual number. That's why. It did occur to me that maybe it's because we'd somehow gotten ahead of the other regions, so they were slowing our releases until everyone else catches up, but we seem to be behind there too. EU got 10 EU only games. US got 19 US only games. Ok, maybe there are some better games on the EU site, otherwise there are games on the US site, that they have since February or March 07!!!! I think it is time for a hole bunch of catch up weeks to fill this giant gap. The US could have catch up weeks too, to fill their gap. There's only a significant difference in number of games for the NES releases. Comparing releases on other consoles, there's only one or two number of games difference. I'm hoping for a few more catch up weeks just so that we're nearer equal. I agree with Bass X. The NES has a ridiculous amount of games when compared to some of the other systems. Sure, many of them are good, but the other systems are missing hits too! Where's Super Mario World 2: Yoshi's Island (SNES) or The Legend of Zelda: Majora's Mask (N64) or even WiiWare games? 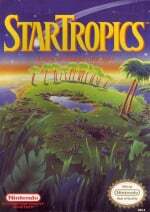 I hate to complain, but Nintendo needs to release some of the hits from the archives that have been blocked out every week by some questionable games, not to say StarTropics isn't good. I honestly haven't even tried the game, and it looks good, but I think I speak for many when I say that the VC is lacking in the SNES and N64 department. On that note, let's hope they release Super Smash Bros. (N64) around Brawl's release (March 9). I hope we will ever get the Super Mario Bros 2 Japan Game, unlimited! That would be very nice and fair. I don´t get it why we got this game only limited. A few days later the USA got it unlimited. I hate Nintendo for that. I was hoping we Europeans would have got The Lost Levels back at Christmas but no such luck. OK, to all you EU people who are whining about the 2-game release weeks, um, could you please decide what you want? No. We're going to get crappy games - thats a fact. We would rather have one good game and two crappy games than just one good game. The crappy games have to come sometime so they may as well come when we get the likes of DKC3 and Harvest Moon instead of one week where we get three crappy games and no good games. So it seems fair to you Steve that we get one, two or no games at all, while you get three games a week? Never mind. It looks like NA is getting the short end of the stick now too. Parity is restored. Never played this before but it looks like il download it tonight..it looks really good.Along with 1080 snowboarding ive finally got a couple of games to tear me away from my ps3 i got at xmas.